Bad Breast Augmentation or Bad Reduction Surgery? We will get you Answers. People who have elected or are required to undergo either a breast augmentation or breast reduction, have done so either wanting to improve their aesthetic appearance or for health related reasons. The last thing these individuals need is complications or to end up worse off than they were when they chose to undergo the original procedure. Our Pennsylvania plastic surgery attorneys can help you get answers. Of course, a bad result or a complication does not always mean a lawsuit. Only after having your records examined by a competent board certified plastic surgeon can we advise you of your full legal rights and potential for a case. Complications and poor outcomes can be caused by inexperience or negligence. To determine which, a thorough review of the records is absolutely necessary. Was the doctor who performed your procedure qualified or competent to perform the procedure? Are you suffering complications, including bleeding, infection, severe, unusual pain, visible or unreasonable scarring? Did the procedure (breast augmentation, liposuction, tummy tuck, face lift, eyelid surgery, rhinoplasty (nose job)) result meet your expectations? Were you informed of the severe risks, complications and alternatives of your plastic surgery or cosmetic surgery prior to the procedure? We can help answer these questions for you through a free consultation. Free Case Evaluation by Dr. Dean J. Fardo, Board Certified Plastic Surgeon. Medical malpractice cases can be difficult in Pennsylvania, and malpractice cases can be even more difficult if the procedure was an elective procedure. One advantage we believe our lawyers have is the access to a board certified plastic surgeon who works closely with our lawyers in reviewing cases. If you have questions about a plastic surgery procedure or a cosmetic procedure involving a bad breast augmentation or bad breast reduction, call Noah Paul Fardo, Esq. 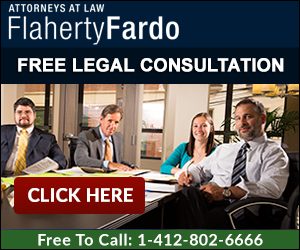 for a free consultation at 412.802.6666, and allow our lawyer/doctor team to get answers for you. Thinking About a Breast Augmentation or Breast Reduction? Our representation for botched breast augmentation and bad breast reduction cases is based on a contingent fee structure. There is absolutely no fee unless we obtain recovery for you. We advance 100% of any costs including expert fees, depositions, court costs and are only reimbursed from the client’s share if we actually recover monies for our clients . There is absolutely no fee or cost for any of our free initial personal consultations. Consultations can be done in person, on-line or via telephone at 412.802.6666.